Wellington Phoenix CEO Tony Pignata speaking from the Windy City today said, "We're working to get our proposal into the FFA by Friday." You can hear the full interview on Nearpost radio Tuesday 6:30-7:30pm or catch it here on the podcast on Wednesday. have come back to us requesting a submission by this Friday. I'm currently working on a submission to put forward how it would work, the logistics, and the make-up of the Youth team. "We know what is required and they (FFA) have just asked some questions regarding the squads and how it would work with our first team based in Wellington, and our Youth team based in Canberra. "We'll set it up and be working closely with Capital Football who will provide administration and give us facilities to train on. "If successful we'll advertise for a Coach, a Manager and this stage we'll probably look to do that as soon as we get confirmation. "I'm hoping within a couple of weeks turnaround. They'll need to digest it, to make sure we tick all the boxes and that we can put together a strong team over there as well. "A couple of weeks and then we'll know." What about players, Canberrans or open to all Australians? "We're hoping to be ready for next season, but that's up to the FFA, I think we've got a good chance." Graham Arnold challenges former Telopea High Student. FourFourTwo have a story on Canberra's Nikolai Topor-Stanley. GRAHAM Arnold has challenged Nikolai Topor-Stanley to prove he is the solution to Australia’s left-back puzzle. The Perth Glory defender earned his first senior Socceroos cap in the goalless draw with Singapore and was part of the squad which emerged from China with a priceless point in the pursuit of World Cup qualification. Now his Olyroos coach wants him to build on that opportunity and progress to the point where he is really banging on the door for a regular spot. While Pim Verbeek has plenty of options in certain areas of the pitch, he does not have an endless procession of left-backs to choose from. Although Topor-Stanley is also comfortable as a central defender, it is at full-back where Arnold wants to see the 23-year-old really nail down his international future. It has been a contrasting year for Topor-Stanley. He was part of a Perth Glory side that avoided the wooden spoon by the skin of its teeth but recently scooped the club’s player of the year award. He was also a regular member of Arnold’s Olympic side that triumphed in its pursuit of Olympic qualification. The recent trip to Singapore and then China was his first taste of the bigger international stage and now he’s had a taste, he’s hungry for more. Topor-Stanley told au.fourfourtwo.com: “It was a great experience and invaluable for my development, just to be part of the group and to have another opportunity to learn. While happy to be alongside the big names, Topor-Stanley is in no-one’s shadow. He said: “Arnie (Graham Arnold) has told me there’s a scarcity of left-backs out there and I should really strive to improve my game and really cement that position as my own. Topor-Stanley was joined on the Socceroos trip by several A-League colleagues and he feels that one player in particular has helped the domestic league’s cause tremendously. Do you want to Coach A-League? Home-grown coaches are key to the development of young players according to Football Federation Australia (FFA). Scholarships will be for a period of up to three years and coaches that may be considered for the program include those from Club, Institute, School, Youth and Private Academies. Announcing new programs for coaches, from grassroots to elite levels, FFA CEO Ben Buckley said that the ultimate objective is to improve the quality and technical proficiency of players, as well as give coaches a development pathway. "These exciting programs will help anyone interested in football coaching regardless of the level of their coaching," FFA CEO, Ben Buckley, said. "Whether you're a mum or dad helping out your children's local team, or aspire to be a Hyundai A-League or national team coach, our new coach development programs have something to offer. "Importantly, they also form a clear pathway for those people who are interested in making a career out of coaching." Key amongst the initiatives announced by Buckley is the inaugural FFA National Coaching Conference to be held at the State Sports Centre, Homebush Bay (Sydney), on 26 & 27 May. Timed to coincide with the worldwide FIFA Congress which gets underway in Sydney later the same week, the conference includes some of the biggest names in world football from a technical perspective. Keynote speakers at the conference include FIFA Technical Director, Education and Development Jean-Michel Benezet, German Football Federation Chief Coaches Instructor Erich Rutemöller, former German National Team Head Coach and World Cup winner Jurgen Klinsmann (via video link), former Dutch Eredivisie Coach Hans Westerhof, and former Socceroos and Czech national team coach Dr Josef Venglos. The conference will be closed by the President of the Asian Football Confederation, Mohammed Bin Hammam. “We have attracted some of the biggest names in world football to attend this event and the knowledge and experience they will share will be of great benefit to all who will attend," Buckley said. Buckley said the conference will also feature sessions on sports science, sports medicine and sport psychology. Also announced is a new Elite Coach Development Program which is a scholarship program aimed at a small select group of younger coaches who aspire to coach at the elite level - whether for an Institute, Women's National League, Hyundai A-League or national team coach position. The Scholarships will be for a period of up to three years and coaches that may be considered for the program include those from Club, Institute, School, Youth and Private Academies. There will be a small number of scholarships awarded under a broad range of criteria, with a primary consideration being a clear intention to pursue coaching at the highest level. The scholarship holders will be required to hold an FFA Advanced Coaching B License and be progressing towards an A License, and they must also have a significant playing background or relevant off-field qualifications. "The FFA is committed to ongoing growth in the area of football development as announced in last year's National Football Development Plan, and these scholarships provide another level of implementation in this area," said Buckley. "The Elite Coach Development Program will potentially provide the springboard for a few targeted Australian coaches, perhaps even former elite players, to ultimately reach the top of the coaching profession." The National Technical Director, Rob Baan, will lead the program, with assistance from the National Coach Education Manager, Kelly Cross, and the FFA National Teams and Football Development Units. Applications will close on April 15 with the first scholarships to commence in July. Meanwhile, a number of Australian representatives will form part of the next intake of coaches undertaking the B Certificate coaching course as part of Football Federation Australia’s coach education structure. Former Socceroos including Paul Okon, Steve Corica, Ross Aloisi, Carl Veart and Michael Valkanis as well as former Matilda Gill Foster, are set to be amongst some 20 coaches taking part in Canberra during April in the AFC-endorsed course introduced last year as part of the new Coach Education Structure. The course is part of the Advanced Pathway which is primarily aimed at the professional and semi-professional coach, and also at experienced players who wish to pursue a coaching career. Attendees who pass the B Certificate can progress to the A Certificate and then the Pro Diploma. Victoria move to Summer football....a new vision. Ethnic clubs pushed aside...again? Is this the future for State Leagues football? NSW are you next? The greatest change is the implementation of a new professional summer league taking in all 12 zones scattered across our state. The league will be launched later this year. A low key launch, you're not kidding, but the Moonee Valley guide covered it well. Belconnen United crash out of Fed Cup. Belconnen United lose, Canberra FC progress, Tuggers win on penalties,ACTAS run ends in a weekend of Fed Cup men's drama. Canberra FC had Captain Paul Ivanic sent-off but scraped home 2-1 over a vastly improved Queanbeyan City. O'Connor Knights dumped Belconnen out 2-1. Belconnen had Matt Valeri sent-off and despite Danny Macor's customary goal, Belconnen are out. Belconnen Coach Steve Forshaw speaking after the game said, "We're disappointed, obviously we wanted to win this cup, but O'Connor were a good side last year, and I think they are even better this year." "The break will give us time to get over a few injuries and organise a few games. I didn't want it, but we'll just have to prepare for the season ahead. Well done to O'Connor I thought they had the legs on us today." And in late news: Tuggeranong United defeated Canberra Olympic on penalties. Celtic lost 1-0 to Rangers. Okay it hurt, but all is not yet lost, believe me. Where's there's Celtic there's hope! But Scott McDonald, the so-called injured Socceroo, came off the bench to play for Celtic on Saturday. 1. Australia had two chances inside the six yard box against China. Marco Bresciano and David Carney missed. McDonald would have scored. If Australia miss out by a point or two, we should never allow Celtic manager Gordon Strachan into the country. 2. Scott McDonald scores many goals for Celtic. Not unlike Henrik Larsson and Mark Viduka when they played for Celtic. But McDonald, unlike Larsson and Viduka, seems to be on the bench for the big games, particularly the away games. Rangers away, Barca away. Fulham FC's Fitness and Conditioning Coach Andrew Young writes THE WEEKENDER this week. Please note The Weekender is a 450-700 word article written by Canberrans or others with a particular focus on Australian/Canberra football. Where else can you get football in Canberra on a Saturday? Feel free to suggest an article and let the increasing number of blog readers hear your thoughts. This week former Canberran Andrew Young gives us an update on life in the English Premier League. More Beckham, Lucas Neill, Inter Milan, and Old Trafford than you could want in one post. Can Fulham FC avoid the dreaded drop? With only 7 games to go in the Premier League, survival is the name of the game for the players and staff here at Fulham FC. Having already played the Big 4 teams home & away, we now face some critical '6 pointer' games against the likes of Birmingham, Derby, Reading & Sunderland in upcoming games. A couple of good results in these games could turn a poor season into a good one. Given the club's relegation threatened status at present, you could be forgiven for thinking that the mood of the club and players is quite low. Fulham manager Roy Hodgson includes Inter Milan in his CV. Manager Roy Hodgson is very experienced having been in the game now for 32 years including 2 stints at Inter Milan. Nothing seems to faze him and he passes on his infectious positive outlook to players and staff every day. That is not to say that he does not take the club's predicament very seriously, which he does. He just knows from experience that the best way to overcome such adversity is to be positive in your outlook and to continue to work hard on the training pitch every day. I also recently had the chance to chat to the West Ham & Socceroo's captain Lucas Neill when we played them recently. Discussing Fulham's relegation fight, Lucas recalled how the key to West Ham's amazing premier league survival last season was the players self belief and positive attitude. It certainly worked for them! Professional sport is all about accountability nowadays for both players and staff. Everyone is under scrutiny including the fitness staff, particularly given our lowly league position and habit of conceding late goals. Fortunately for us, the Premier League publishes a 'fitness league' garnered from all the Prozone match statistics collected each week. They analyse fitness indicators such as the amount of high intensity running & number of sprints performed by each team. Last season Fulham finished 2nd in the league and are currently ranked 3rd so Roy is very happy with our work. I guess that this is one of the reasons that I have managed to work under 4 different managers without them bringing in their own new staff. But the league table does not lie so Roy and the management are concentrating on working on things like team shape, tactics and mental preparation as priorities. The club was quite active in the January transfer window bringing in the likes of Brede Hangeland (Norway), Leon Andreasen (Denmark), Eddie Johnson (USA) and the legendary Jari Litmanen (Finland). In fact, Jari spent his first week at the club doing individual ball training sessions with myself whilst overcoming an old injury. Having played for Ajax, Barcelona and Liverpool it was not a surprise to see that his level of professionalism, first touch and finishing were superb! Here's hoping that he can score a few critical goals in the upcoming weeks. International Week: 15 Fulham FC players represent their countries. This week see's another FIFA International game window when many of the players leave the club to go and play for their National Teams. Here at Fulham we have 15 international players including the current captains of Wales (Simon Davies), USA (Carlos Bocanegra), Russia (Alexei Smertin), Finland (Jari Litmanen) and Northern Ireland (Aaron Hughes). Essentially we lose the guys for up to 4 days and they usually arrive back tired and fatigued 24 to 36 hours before our weekend game. Preparing a Premier League team under such circumstances can be very difficult but fortunately Roy has much experience as an International Manager and is not too fazed by it all. Very pleased to see the Socceroo's campaign get off to a good start. Fulham's Korean midfielder Seol Ki-Hyeon has experience of playing under Socceroo's coach Pim Verbeek when he was the Assistant Coach of Korea to Guus Hiddink. Seol spoke quite highly of him and felt that he had the makings of a good International Manager. Seol also mentioned that he was quietly hoping that Korea did not have to meet the Socceroo's in their World Cup qualification campaign! Personal highlights at Fulham FC: Drinking with David Beckham. I have been asked what the highlights for me were during the past 3 seasons with Fulham FC. They would include playing Real Madrid in a pre-season friendly in 2006 and getting to have a chat and a drink with David Beckham. Warming the team up and sitting on the bench at grounds such as Anfield & Old Trafford and definitely walking out onto Craven Cottage with the Socceroo's boys last November when we beat Nigeria 1-0 in London. All wonderful memories I am privileged to have experienced. There is life beyond football. Unfortunately, this will probably be my final blog from Fulham for a while. On a personal note, my wife Samantha and I are expecting our first child in May and will shortly be returning home to Adelaide, her home town. It will be sad to leave Fulham before the end of the season, but we felt that it was important to be around family & friends at such a time. Fulham have been really supportive and Roy has let it be known that I am welcome back anytime when we return to Europe. I will use the time in Adelaide to complete my Masters Degree studies in Exercise Science & Performance in between changing nappies! Hopefully I will get the chance to get up to Canberra every now and then to visit my family and friends. And a thank you to Andrew. I have had many comments from readers who’ve enjoyed a Canberran insight into the Premier League. Thanks again Andrew and best wishes to yourself and Samantha for the birth of your child. Happy days. Like to take your junior football team overseas? Europe a bit pricey? USA too far? With Australia in Asia opportunities are starting to spring up. It's cheap, well cheaper than Europe, closer, and gives the kids, players and families a great experience with our near neighbours. Former SBS Football Commentator, and current Gladiator presenter Andy Paschalidis is promoting this tornament in Borneo. Andy can be heard on next weeks Nearpost radio show which airs Tuesday, with podcast available on this blog on Wednesday. Saturdays "THE WEEKENDER" is a great read from Andrew Young Fulham FC's Fitness and Conditioning Coach. Andrew talks about meeting David Beckham, gets advice from Socceroo Lucas Neill on Fulham's relegation fight and gives a fantastic insight to life inside an English Premier Club. THE WEEKENDER is an article 450-700 words published here every Saturday. Anyone can write. Usually about Australian or Canberra football. It guarantees Canberrans can wake up to some football coverage on the weekend. Don't wait to be invited drop me an email and suggest an article you'd like to write. John Kosmina always speaks his mind. Except maybe when it comes to Mark Milligan. See earlier post today. On Harry Kewell and Mark Viduka. Has Harry Kewell got three more years football in him. Kozzie says, "No, I think not." It's not a nice thought, a nice thing to have to say, but Kozzie said what everyone is now thinking. "He's missed a lot of football in the last three years and it's very hard to come back from there." "Mark Viduka needs to make a decision. Does he play in the June qualifiers and we have to leave Josh Kennedy out?" Kozzie is right. Let's bring Dukes home for the Cameroon game and give him a wonderful Australian send-off. Why play Dukes in June, if he can't play in the next Qualifiers? And let's face it if we do get to the World Cup, we do not want a 34 year old Mark Viduka leading the line. Well you might, but I don't. He's too slow for top International football now, and the World Cup is beyond him. Pim Verbeek: Training in Germany is better than playing in England. Socceroos Coach Pim Verbeek was criticised by a few sensitive Aussie A-League fans recently when he said, "training in Germany is better than playing in the A-League." Well he didn't say it, because no-one asked him, but training in Germany is clearly also better than playing in the English Championship. Patrick Kisnorbo plays every week for Leicester City. Michael Beauchamp isn't getting many, if any, minutes for Nurnburg but he still got to play for the Socceroos. Kossie: Where is Mark Milligan? Speaking on Total Football tonight Sydney FC Coach John Kosmina was asked, "where is Mark Milligan?" "I don't know," said Kossie. Well Kossie he's been in Canberra, with your new Sydney FC Coach Steve O'Connor, at the AIS for the last few days, doing some rehab training with the Under 20's. Does Kossie really not know?.....hmmmmn....me thinks not. Phoenix 2008 Canberra Youth Team: Hurry Up! Aussie players:Sign your interest for Central Coast Mariners Youth here! Why not play in London? If we qualify to play Japan, Iran or Uzbekistan in the next stage, we must play all WCQ on FIFA dates. 2. If a game is to be played during the Northern football seasons, why not play one home World Cup Qualifier in London. Just one? It could make all the difference as the travel is increased and the intensity of games is increased. Australia's next Asia WC Group. Celtic star Shunsuke Nakamura didn't play in Japan's 1-0 loss to Bahrain. Rangers on Saturday for Scott McDonald, I mean Naka. Bet they both play. Interesting results across Asia. And of course should Australia qualify for the next stage, and it is looking good, who will we play next? My predictions below. Uzbekistan thumped Saudi Arabia 3-0 and they are emerging as a powerful Asia nation. They may look European, play like Europeans but apparently they are Asia. Wonder why they changed Confederations. Aussie and former NSL player Alex Duric (37), scored for Singapore in their 2-0 win over Lebanon. Singapore football on the rise...relatively. Two Korean nations couldn't find a goal. This game was played in China because Korea DPR don't recognise the South Korea flag. Syrian club sides are improving in the Asian Champions League, but they could only force a draw at home to UAE. And Iraq lost to Qatar. The Asian Champions have 1 point! Iran could only get a 2-2 draw away to Kuwait. Away points clearly should not be taken for granted. Early days but who will qualify. Here's my picks. From which two would qualify. Australia on track after Iraq crash to Qatar. Mark Schwarzer saves Australia..from sleep! And saved cautious Pim from defeat. Australia drew 0-0 in Kunming against a woefully intimidated Chinese side. And this after a tedious 0-0 friendly against Singapore. A pattern, surely not. Anyone who has seen the Chinese teams in the Asian Champions League will have been shocked at the lack of drive, energy and forward thrust of the National side. Australia could have won this game even with so many withdrawals. The Chinese invited the Australian side forward but Pim's men would not accept the challenge. An 87th minute penalty save by Mark Schwarzer kept Australia on track for the next World Cup Qualifying stage. Aussie Pim may look a Dutch genius tonight but his tactics would have looked a little suss had China scored and won the game. Pim Verbeek had the team strategy right for the result, right perhaps for the group stage, but dismal for the football fan. China were there for the taking, A-League players in the team or not! Big stakes I know, but clearly the tactics showed Aussie Pim's lack of awareness of just how poor China are, lack of belief in his Aussie players or just his own cautious nature. Maybe all three. We might sleep our way to the next World Cup stage! Jade North played the full game with class and showed A-League players are up for the job. Three cheers for the A-League. Jade North in a reasonably reliable back three which wasn't tested really. Schwarzer for his save, but looked a little rusty at times. Carl Valeri. A strong performer/runner in the middle of the park. Altitude? What altitude? Brett Holman: A strong performance came on as Sub for Archie and moved well for the team. David Carney was poor in defence. Missed a sitter to win the game, but more worryingly had some poor moments at the back. A forward still learning? This time we escaped. A draw is fine, I expect Australia will qualify for the next stage. And few will remember this performance. Can you see China winning in Melbourne against a full strength Australian side? I can't. In truth with all the preparation and pull-outs a point away in a World Cup Qualifier will do just fine. But it wasn't pretty in the forward movement. World Cup on track. More Aussies gaining experience in pressure games at the top level, giving Verbeek a bigger pool to choose from. Verbeek has the team well structured, playing keep ball. But they were never pressured in any part of the park. His previous side South Korea didn't score much, I guess we won't either. Verbeek knows the limitations of his squad and is playing to it's strengths. Win the home games we go through. Aussie Pim on track. Well done Pim. Minimal. If you weren't a die hard fan or Aussie or didn't realise the significance of the game it was dire stuff from both sides. Carl Valeri played the whole game, and played well. Out shone Vinny Grella with his mobility and forward balls. In truth he had Vinny alongside and was well protected. For Harry Kewell. He came, he tried and he broke down. Poor bugger. And Archie Thompson. Here was his moment. A big big game. And he got to start. No Mark Viduka, no John Aloisi, Scott McDonald, Josh Kennedy or Bruce Djite. Just Archie. And he got injured after 9 minutes! China away is just so much better than waiting to play the Solomons, New Zealand or whoever. Thank God! Even if we never qualify! "Hand of God," I'll take that in Kunming, how about you? Now I don't want to worry you but have you seen our goalscoring stats. Goals for Socceroos in brackets. Michael Beauchamp(1) Jason Culina (1) The other fifteen players No, Zilch, not one! No wonder we are thinking, maybe a draw is a good result! Will Valeri play today? I think so! and we look back on the Asian Champions League. Interview with Joey's and ACTAS player Chris Bush. Neil Zimmerman reports on the South Melbourne/AIS clash on Easter Monday. Fitsum Habtmariam talks about his football journey. From Eritrea to Canberra. Preview the Fed Cup games this weekend. Celtic v Rangers on Saturday....did it influence Scott McDonald's decision? Cetlic need to beat Rangers at Ibrox to close the gap in the fight for the Scottish Premier League. A loss and the best team in the world will be six points adrift of the Gers. Now did you see the footage of Scott McDonald getting called off on Sunday for Celtic after 63 mins? He looked, shall we say surprised, nay shocked. And Manager Gordon Strachan quickly announces wee Scott has a calf strain. A million dollars says he plays at Ibrox on Saturday! Canberra's Football Tragic now in CHINA! yes you've guessed it, he's in Kunming, China for the World Cup Qualifier kick-off 5pm AEST, live on Fox Sports. Rod sent this travel log through to the Nearpost. Well, here I am in beautiful downtown Kunming prior to Australia v China World Cup qualifier. Quite a contrast from my Asian Cup experience in Bangkok. None of the vitality, vibrance, nor chaos, in my opinion. In other words, quite dull and boring. For example, here you can walk on the pavements without having to have your eyes glued to the ground so that you don't fall into a crevice or sprain your ankle in a pot-hole every five steps. Try doing that in Bangkok! However, I should say I haven't seen or done a great deal yet (other than wander round the streets near my hotel) - I only arrived yesterday afternoon. Weather is also very different. I am feeling the cold here. I estimate last night the temperature was 5 degrees. Hotel doesn't appear to have any form of heating. People wonder around with jackets and scarves on. I suppose they have learned to be (and are required to be) frugal, living in a communist society. Older people wear dull, boring nondescript clothes. Younger ones appear more western with jeans and sportswear. But still nothing like capitalist Asian countries I have visited. This is the first communist country (there are only about five left now, aren't there? - Marx, Lenin, Trotsky and Stalin must be turning in their graves). The people here are quite different to the Thais as well. Much more aggressive and upfront. I have never seen so many people (both men and women) gobbing in the street. Also, today at breakfast two guys came and sat at my table and proceeded to devour plates of noodles, making sounds like hoovers. Talk about slurping! Quite funny, really. Not surprisingly, no western channels on the hotel telly, despite the fact that I can choose between about 50 stations. No BBC, CNN etc. The one English language channel had a few pro-Beijing/anti-Tibet stories yesterday. Big news was the lighting of the Olympic flame at Olympia, and the start of its journey to Beijing. Lots of Beijing 2008 merchandise in the sports shops. I have read all about the Australian injuries. Not good news. With all the centre-forwards injured, how will we score? Bresciano perhaps, or maybe Kewell? Possibly score from a set-piece? I must say that I am not feeling very confident at the moment, and would happily settle for a draw. No problems with altitude for me. Then again, I haven't run a step! FFA have sent a list of questions to Wellington Phoenix and Capital Football before the final go ahead is given before the Canberra based 8th Youth side is given the go ahead. Costs, Player rosters, overcoming the difficulties of having two teams playing in two locations, two countries are just a few concerns. Capital Football CEO Heather Reid said, "I'll work through these concerns with Tony (Pignata, CEO Wellingon Phoenix) next (this) week, but there doesn't seem to be anything we can't sort out. It's all pretty positive. "As regards staff appointments Wellington Phoenix will have the final say, but there will be some input from ourselves. Again I don't forsee any problems." Coach of the Phoenix Youth? Milan Milanovanovic, Ron Smith, Chris Tanzey are a few likely contenders at this early stage. Why doesn't football have a ten metre rule! "I have made it clear referees should be a no-go area," said English players' union (PFA) chief executive Gordon Taylor. Liverpool's Javier Mascherano, Central Coast Mariners Danny Vukovic have both grabbed headlines for their recent send-offs from the pitch. Why doesn't FIFA enforce two simple rules. 2.Only a Captain can protest a decision. Protesting and/or swearing at an official and you move the free-kick ten metres forward. Sounds like Rugby but Union guys tend to be a lot less abusive to referees in televised games and let's face it their rules leave an amazing amount to interpretation never mind understanding! So simple, but when the Nearpost forms Government watch the football culture change across the World. Why wouldn't we do it? Can't think of any reason why we wouldn't do it, can you? English players' union (PFA) chief executive Gordon Taylor has called for the introduction of an exclusion zone around referees following recent incidents of player dissent. "I have made it clear referees should be a no-go area," Taylor told BBC radio after Liverpool's Javier Mascherano was sent off on Sunday for harrowing referee Steve Bennett over his decisions. "It is time managers and players did accept a responsibility ...It is the bad points that get highlighted and the game has to be very much aware and do all it can to eradicate it." Worried about China? You bet! Our golden generation got us to Germany. Who can get us past China? We beat China last year 2-0, in China. Mark Viduka had a stunner of a game. The Chinese attacked with great pace in the second half and we hung on...just, and it was only just. I'm worried about Wednesday. Very worried. It's a World Cup Qualifier. No Viduka, no speedy Brett Emerton, no Josh Kennedy, no goal-scoring machine Tim Cahill, no Mile Sterjovski and a heap of hope placed on our Harry Kewell. This is the new Australia. Our golden generation got us to Germany. Who can get us past China? And if we could win we'd be flying with 6 points, China 1, and even I wouldn't back against us then. This is a crucial game. A weak Socceroos squad, if they can win on Wednesday we will have breathing space to rebuild before the Second Group stage later in the year. But if we lose and I fear we will then it's going to be a nervous June. We have the last four games in June. I love my Socceroos. But I realise the depth of our current squad, and I saw the Asian Cup. Look at the team list of our best players. Blackburn, Everton, Torino, Palermo, Karslruhe. And most of them aren't coming! It's not Real Madrid, Arsenal, Bayern Munich, AC Milan is it? And for this reason we should never expect to win an away International with any ease with our current squad. We might win on Wednesday but if we do it's going to be by one goal, and it will be tense. Our squad is different now, an inexperienced or slow squad in key areas. And no pace up front, or out wide. In international football you need pace to win. This squad has no exceptional international pace in it's front six, whoever we play. Congratulations to Jade North who took the armband once Harry Kewell went off last night against Singapore. Our first Indigenous Captain. Can't imagine any other media outlet in Canberra discussing it so here's my thoughts for the record. Despite a shockingly poor pitch, drenched, and unworthy of International Football, Nikolai Topor-Stanley can be reasonably pleased with his debut in the 0-0 draw for the Socceroos against Singapore. His team didn't concede any goals against a team ranked to low to mean anything in World Football, and despite having to mark a speedy Chinese born winger, Topor-Stanley had few problems for most of the game. Topor-Stanley has rose quickly from Manly United in 2005. His A-League scoring debut was at Canberra Stadium for Sydney FC v Newcastle Jets in a 2-1 defeat in the 2006 Pre-Season cup. A fine season with Sydney, played across Asia in the Asian Champions League and then, due to an incredibly low wage offer from Sydney, he signed for Perth Glory for Season three. An Olyroo, he'll head to Beijing for the Olympics, and finished last season as Perth Glory's player of the year. He has one more year on his contract, don't be surprised if he heads overseas after that. He looks a Centre-back. Big, strong, athletic and good ball control. But everyone is playing him left-back. Is this because of the dearth of left backs in Australia? Probably. But would The Glory do this to assist the National side? Anyway Topor-Stanley is now a left-back and perhaps this is why he's forced his way into the Socceroos squad. With Scott Chipperfield on the way out, David Carney having to convert to left-back, next in line, former Tuggeranong United defender Topor-Stanley. Unlike Chipperfield and Carney, both of whom have spent their careers attacking in forward positions, Topor-Stanley is a defender who is now expected to attack down the flank. He scores goals, mainly from corners, and does attack with some style. But he doesn't seem to be a natural attacker. Roberto Carlos he's not, or even Ashley Cole. With Adam Griffiths on the right flank last night the Socceroos had little overlapping wing threat and consequently the team's performance was lacklustre. Sign of the times? Topor-Stanley had a cracking shot from 35 yards. He went forward minimally particularly in the first half. He was caught out a couple of times by the pace of the Singaporean winger late on, but he was still alert enough to cover for his team-mates when the ball was flying around the box. Overall a solid rather than spectacular debut, but he's been rewarded with a trip to Kunming China or the real deal. Don't expect him to play on Wednesday, but this should be the first of many caps for Nikolai Topor-Stanley. Well done to Nikolai Topor-Stanley and Carl Valeri. Both are heading to China for Wednesday's game. And well done to Tuggeranong United! Both played for Tuggeranong United Under 11 side coached by Canberra football legend Walter Valeri. When was the last time two Canberrans were in the Socceroos squad? Has it ever happened? When was the last time two boys from an Under 11 side anywhere in Australia made it to the Socceroos? Nikolai Topor-Stanley and Carl Valeri are in the Socceroos squad for the crucial World Cup Qualifier in China on Wednesday. Full squad below; When was the last time Canberra had two Socceroos in a squad or a World Cup Qualifier? Football Federation Australia (FFA) advises that the following players will form the Qantas Socceroos squad for the 2010 FIFA World Cup qualifying match between China and Australia on Wednesday 26 March in Kunming, China, presented by FOXTEL. Please note The Weekender is a 450-700 word article written by Canberrans or others with a particular focus on Australian/Canberra football. Feel free to suggest an article and let the increasing number of blog readers hear your thoughts. In 1996 when we opened our new headquarters in Deakin, I convinced our Board that the building should be called “Football House”. So the Board of Soccer Canberra operated out of Football House and Charlie Perkins was cheering us on from Sydney. Looking back on the past 8 years since Charlie Perkins died in October 2000, the football scene in Australia and Canberra has changed enormously. Charlie would be very happy with the fact that Soccer is now referred to as Football – It was Charlie as President of the then ACT Soccer Federation back in 1988 who set the “dogs of war” loose on this topic as he first floated his ambition to bring the name change about. The media crucified him for his impudent remarks that “Soccer” dared to challenge “our established Football codes” and “steal” the name. The fact that billions of Football fans around the World had a better case, seemed insignificant then – and our national “Soccer” leadership did not have the nerve to back Charlies ambitious comments. With the introduction of Capital Football and the Football Federation of Australia I am sure that Charlie and his good mate the late Johnny Warren are sharing some “I told You So” stories in Football Heaven. From the time Charlie Perkins was introduced to soccer, it became an integral part of his life. He often rationalised his passion about the game, as being a great way to break down the national racial & language barriers. His love of the game was also strengthened by his great empathy with the immigrants, the new Australians, the outsiders, with whom he shared this common bond. It was at St Francis's Home in Adelaide where he developed an interest in Soccer, the sport that gave him his start in life and gave him the initial confidence needed to fight for Aboriginal advancement. Soccer became his gateway into Australia's rapidly developing multi cultural society, where he was accepted without question and admired for his skill and ability. Charlie played soccer for Adelaide Hellas and Adelaide Budapest soccer clubs, and for Bishop Auckland in the UK and for Pan Hellenic in Sydney. Through soccer Charlie established the financial base that was required to help him matriculate and study for an Arts Degree at Sydney University. By the mid to late 60’s Charlie had established a solid reputation as one of the finest Soccer players in the country. However, his professional soccer career was tragically curtailed through his illness and subsequent kidney transplant. Charlie became involved with Soccer again in 1978 through Johnny Warren, then the first Coach of the newly formed Canberra City Soccer Club, and remained its President until 1981. In addition to his Presidency, Charlie was also a foundation member of the Canberra City Old Boys. As the name suggests, we weren't exactly novices, but we did play against mostly younger teams in the Canberra League 6th Division, like the RMC Duntroon Cadets, who would do umpteen laps of the oval before a match, while we got puffed by simply doing up our boot - laces. Charlie was always having problems with his knees, ankles, or feet, but that rarely stopped him from playing. He mostly ignored the pain and was an incredible sight as he beat players half his age. Sometimes when the pain became too much and he just couldn’t run, he would end up in goals and even there he showed the class of his football pedigree as he pulled off saves, that Mark Schwarzer would be proud of today. I remember one occasion when the BBC sent a television crew out from England to do a follow up story on Charlie (from his Bishop Auckland days) and they wanted to film him in one of our games. Now we were mostly well behaved, but Charlie didn’t want to take any chances and he lectured us extensively on the need to make sure we were on our impeccable best behaviour. Half way through the game there was a scuffle and it became a minor brawl and leading the charge was the star subject of the BBC documentary, as he defended one of his team mates. That was typical Charlie, loyal, brave, and never taking a backward step. During this period Charlie also somehow found time to establish the Nomads Soccer team, which was predominantly an Aboriginal team with a couple of us interlopers. It featured players like John Moriarty, Gerry Hill, Neville Perkins, the late Joe Croft, John Janke, Keith Brandy, Terry Kapeen, Ralph Rigby and Billy Cooper. Charlies' son Adam was also “dragooned” in sometimes when we were short. Our team probably had more players come through our ranks than any other in the competition, as friends of Charlies who came to Canberra to visit for the weekend were often drafted in for a game & they didn’t seem to mind as they realised that was probably the only way they would catch up with Charlie. I remember one weekend when Lionel Rose came to watch a game, & afterwards we were dropping Lionel off at Tuggeranong, where he was staying with friends. Except the friends weren't home and Lionel forgot his keys. So there we were on all fours, with Lionel climbing onto our backs (and he was no feather weight by this stage) to try & get in through a window, when Charlie asked Lionel "you sure this is the right house?" Lionel admitted he wasn’t totally sure, we just all collapsed laughing, with Charlie looking at the possible headlines the next day, Perkins & Rose arrested in Tuggeranong house break in. Looking back like this also made me realise that the complete life works of Charlie Perkins need to be kept alive, not “just” for his football contribution. But more importantly for the barriers that he broke down nationally for the Aboriginal Community. The energy, passion and the audacious bravery that drove him to voice the many issues that needed to be addressed. Charlie Perkins life work laid the foundations for many of the recent changes that Prime Minister Rudd has enunciated in his Sorry Speech. Charlie Perkins contribution to Australian society in general is legendary, he was demanding, tough and focused, he certainly was not afraid to take hard issues into the public arena. But most of all, beneath his tough public persona, in private he was a humble man, he was generous to a fault with all his friends, opening his heart and his home for the betterment of all. One of the tragedies of life is that we don’t tolerate the "Giants" amongst us, we try to cut them down, to our size, we vilify them, we criticise them. We only recognise their greatness when they are gone. I have no doubt whatsoever, that future generations will be taught about the legend and legacies that Charles Nelson Perkins has left to our country. My regret is that we, as a nation, did not enunciate our thanks to Charlie during his lifetime, for his "Giant" courage to say things others dared not say, to do things while others only talked, and to fight injustice wherever he found it. I hereby nominate Canberra football legend Walter Valeri! As an Under 11 Coach Walter had his son Carl Valeri and today's Socceroo debutant Nikolai Topor-Stanley in the same Tuggeranong United junior side. Would there be an Under 11 Coach from anywhere in Australia who could claim such a prize at such a young age? Obviously as players get older, they are drawn or recruited to the "best" team. And if you are Coaching Under 11's this year...you just never know do you? Catch the full interview with Nikolai Topor-Stanley in Tuesday's Nearpost radio show or find the podcast here on the blog on Wednesday. Speaking from his hotel, Nikolai said, "I don't know if I'll start, but the signs are good. And there is no other left back in the squad." Topor-Stanley would have watched Kewell playing for Leeds United and the Socceroos many years ago. Tomorrow he is expected to be supporting him up and down the line. What if Harry doesn't pass you the ball whem you overlap? Topor-Stanley laughed, "I'll just say nothing and run back." "I'll have good support from Canberra. My mum has flown over for the game, she still lives in Canberra," said Canberra's latest Socceroo. and who knows he may, just may, be off to China next week for the World Cup Qualifier. Watch this space! AFC U-19 Championship draw on April 6. Aussies have to come in the top four to qualify for the World Cup. With Steve O'Connor off to Sydney FC there is no word on who is to Coach this team yet. O'Connor has offered to Coach the side, most of whom are under his charge at the AIS. Details of the seedings below. 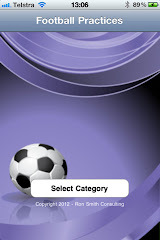 KUALA LUMPUR: The draw for the AFC U-19 Championship will take place on April 6, 2008, in Dammam, Saudi Arabia. Sixteen teams, including hosts Saudi Arabia, will come out of the pots to be divided into four groups of four teams each with the top two teams in each pool advancing to the quarter-finals. The finals will be played from October 31-November 14, 2008, in the two venues of Al Khobar and Dammam. DPR Korea won the title in 2006 in India after defeating Japan in the final. The four semi-finalists of the AFC U-19 Championship will represent Asia at the FIFA U-20 World Cup in Egypt next year. Heather Garriock to earn her 100th cap...and she's only 25! The Matildas will play their first away matches since last year's FIFA Women's World Cup quarter final appearance when they face reigning Olympic champions the United States in two matches commencing next month. The Australian team will face up to the perennial superpower of women's football, and current world number two on April 27 in Cary, North Carolina, and May 3 in Birmingham, Alabama. The Matildas are preparing for May's AFC Women's Asian Cup and will be hoping to go one better than the 2006 edition of the tournament where they narrowly missed out on being crowned champions losing the final against China on penalties in Adelaide. The United States will be looking to utilise the matches as further fine-tuning of their Olympic title defence in Beijing, after attempting to qualify in early April in the CONCACAF qualifying tournament in Mexico. Australia are yet to defeat the United States in 18 encounters losing 16 of those matches, however they have claimed two draws in their last three meetings. "These matches will provide vital preparation for the team ahead of May's Asian Championship," said coach Tom Sermanni. "The United States are of course very tough opposition and will provide us with a gauge on the rebuilding we have done since the World Cup. "We will likely have several new faces in the squad and it will be a particularly valuable experience for those younger members of the squad." Midfielder Heather Garriock will be looking to become the youngest Australian to reach 100 caps in the matches against the United States. The 25-year-old Sydneysider will be looking to join the century mark alongside team-mates Cheryl Salisbury and Joanne Peters, as well as retired defender Anissa Tann. The Matildas, who moved to 12 in the world rankings after the World Cup, will also play a match against Carolina Railhawks on April 29. FFA: Canberra for the A-League? FFA CEO Ben Buckley is quoted in the Daily Telegraph today discussing future A-League teams. Now in all the time I've been following football, A-League developments, never have I heard the word Canberra mentioned as a possible next team. Why is Steve O'Connor so happy! "Smile Steve, you're off to Sydney FC," said the photographer and at that point Rocky as he's known in football circles, lifted his head and gave the biggest smile ever! Steve was a great guest, wit, football stories and insight, a radio hosts dream. Pity we only had an hour. He told us how Mark Viduka drove everyone mad in the Residences at the AIS bouncing the ball against his dorm wall with his head. How Vinnie Grella demanded to be taught how to hit long balls into space, how to control the ball in tight situations, how Lucas Neill, Mark Viduka, Josip Skoko, Joe Simunic, and Craig Moore all played in the same AIS team at one point. Has there ever been such an intake? And he told us how he's off to Sydney FC. A challenge, a big challenge with lots of uncertainty but one that needs to be done and done well. Decision Day: Will Canberra get a Youth team? Capital Football website is reporting that today could be the decision day for Canberra/Wellington Phoenix based Youth team. See Release below for details. And I'll have details later in the day of any decision. The Football Federation of Australia will meet today to discuss the proposal from Capital Football and the Wellington Phoenix about entering a Canberra-based team in the new National Youth League. The Capital Football Board of Directors has agreed to engage in formal discussions with the Wellington Phoenix football club but finer details have yet to be determined with logistical, financial, management and governance arrangements to be discussed. Both parties are in full support of basing an under-21 development team in the ACT to take part in the inaugural season kicking off in August this year and therefore a decision is needed by the FFA as soon as possible. The exclusive partnership would provide the Australian-born Phoenix players under the age of 21 with a development program and an opportunity for local players with A.I.S. scholarship holders, Premier League and ACT Academy of Sport graduates called upon. The selection of players will be a wide process and one that’s not exclusive to current Canberra-based players with a trial and talent identification process open to all Australians. The management of the youth team will be done so by the Wellington Phoenix but in return Capital Football would include support for player identification, match day arrangements, secretariat services, securing of media coverage, sponsors and other supporters. Communications between Capital Football and the Phoenix are continuing with a formal agreement to be drafted regarding outstanding issues especially in relation to management and governance. It’s anticipated that Capital Football and the Wellington Phoenix would be informed of FFA’s decision by the end of the week. Capital Football are pushing for an A-League Youth team to start in August 2008, with the FFA ensuring the Youth spots are open to ALL Australians. A Canberra Women's team is expected to take it's place in a National League starting in October. 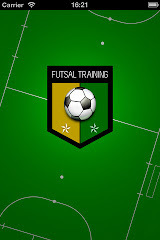 And a Men's ACT Futsal team will play in a National Futsal League before the end of the year. I'm going to have a lie down now just to think about the implications! A year to remember a press release from my new best Kiwi friends the Wellington Phoenix. Canberrans used to be a little suspect about our football prospects. The tide is turning. Step by step. But read the release from our new friends. Look what they achieved in one year. What can Canberra achieve in the future? “The people of Wellington need to be congratulated for their support. Yellow Fever has been superb in creating an incredible atmosphere at games – crowds of 14,000 sing and chant and sound more like 30,000. A LOT can happen in a year – just ask anyone involved with Wellington Phoenix FC. Twelve months ago to the day (Wednesday), professional football in New Zealand was rescued when Wellington property developer Terry Serepisos and Century City Football secured a three-year sub-licence to run a team in the Hyundai A-League – Australasia’s premier professional football competition. After the Football Kingz (2005/06) and the New Zealand Knights (2006/07) imploded, it looked certain that Football Federation Australia would pull the pin on a professional New Zealand-based club in the Hyundai A-League. But a small group of people passionate about football in New Zealand kept hopes alive, working tirelessly to convince the FFA that a professional club could survive across the ditch. However, those hopes began to fade as the enormity of the task became apparent. With his considerable financial and business clout, the Wellington businessman became New Zealand football’s “White Knight” when he stumped up a huge sum of money to secure the capital’s only fully professional sporting franchise outside rugby. Serepisos had single-handedly thrown football in New Zealand a lifeline. But there was a staggering amount of work to do. The then unnamed club had no players, no management staff, no sponsors no training ground or gear, no playing venue and no fan base. Then there was the need to turn around perceptions following the fallout of the Kingz and Knights. There was, however, the unwavering determination of Serepisos and coach Ricki Herbert – the first signing by the club – to make it work. And work it has. A year on, Wellington Phoenix FC has – like its mythical namesake – truly risen from the ashes. No one would have predicted the club would achieve so much in its first year, especially given what had happened in Auckland. But the change of landscape worked wonders – Wellington embraced the new team. A total of 116,833 people passed through the turnstiles at the Phoenix’s 10 home games at Westpac Stadium, with the club twice breaking record attendances for professional football matches in New Zealand. In Yellow Fever the Phoenix have the league’s best supporters’ group. Then there was the David Beckham phenomenon. Serepisos had pulled off the seemingly impossible when football’s global superstar swept into the Kiwi capital with his Los Angeles Galaxy teammates. The nation was swept up in a football frenzy. Becks-appeal saw almost 32,000 people – a record for any football match in New Zealand – pile into Westpac Stadium to watch the Phoenix take on the brilliant Briton and his American pals. Football was well and truly back on the New Zealand sporting radar. Serepisos is still staggered by how well things have gone for the Phoenix in their first year. Despite the considerable expense he had taken on, Serepisos had no regrets about taking ownership of the club. “I’ve got no regrets whatsoever. It was never about the money – it was about ensuring New Zealand had a credible, professional football team and that Wellington would benefit significantly as a result. Those were my goals all along, and we’ve certainly achieved them. Serepisos said he was in the football game for the long haul. Chief executive Tony Pignata said the Phoenix had exceeded expectations. “All the comments coming from the FFA have been universally positive. We had an annual review in Sydney last week and the FFA was rapt with everything. As they do for any sporting organisation, it was the fans that made the difference. Pignata said the Phoenix had buried the stigma associated with past New Zealand-based Hyundai A-League clubs. $1.4million John Aloisi finished with the Socceroos? Full squad from the FFA below for the Singapore game on Saturday night is below. Watch Canberra's Nikolai Topor-Stanley make his debut. Is Sydney FC's John Aloisi finished with the Socceroos? If so $1.4 mill is a massive amount of dosh for an Australian non-Socceroo! Qantas Socceroos coach Pim Verbeek has finalised his squad for the friendly international match against Singapore to be played at their National Stadium on Saturday. Verbeek has added Fulham’s Adrian Leijer to the team along with Harry Kewell, Michael Beauchamp and James Troisi who have all arrived early from Europe. In addition Verbeek has invited Ryan Griffiths to join the squad in Singapore. Griffiths is currently with Chinese club Liaoning FC. Only the players involved in their respective Asian Champions League matches to be played tonight are yet to arrive with Melbourne Victory players due in from Bangkok on Thursday afternoon and Adelaide United’s players to arrive later that same evening. The match against Singapore will be shown live and exclusive on FOX SPORTS and is a vital warm-up ahead of a 2010 FIFA World Cup qualifier against China to be played four days later. FOXTEL is the presenting partner of Australia's World Cup qualification journey. Wellington Phoenix CEO Tony Pignata on the Youth proposal for Canberra. Ashleigh and Nicola Sykes Matildas tryouts from Dubbo, NSW. Capital Football CEO Heather Reid gives a response to the Phoenix proposal. Steve O'Connor talks Sydney FC, AIS players, his standout memories. 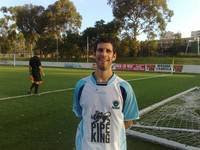 A former Canberra player Michael Katz gets a write up in this weeks NSWPremier League Newsletter. Michael Katz may not be a household name but don’t let that name fool you into thinking he is a shrinking violet, as the header above suggests. He is, however, hoping for a tremendous campaign with the Sutherland Sharks in the Telechoice Premier League 2008 season. Good news for Coach Brian ‘Bomber’ Brown too!. Newly married and the old NSL heading for extinction, Katz realised his boyhood hankering for travel and found himself in Germany where he enjoyed a year and a half at semi-professional outfit S.G. Blaubach. “It was a way of seeing Europe and still playing football so I can’t complain about that can I? Modest he may be but it belies the determination and dedication the hard tackling right back has shown throughout his career to date and many youngsters out there could do a lot worse than use this guy as a role model. Capital Football Board: We say "Yes"
Capital Football Board met last night to discuss the Wellington Phoenix proposal. Capital Football CEO Heather Reid said, "..very positive response from the Board, we've agreed to enter into formal negotiations with the Wellington Phoenix and the FFA (Football Federation Australia.)" "It's a very positive response from us, an important opportunity to address the gap between the Premier League and the A-League." And you can hear the complete interview with Heather Reid on Nearpost radio tonight or on the podcast tomorrow available on this blog. Reality TV for Sydney FC and your son? SYDNEY FC have turned their youth league recruitment into a TV show with the A-League club teaming with Foxtel to find the next football superstar. I'm one happy pig today! Canberrans are released from their darkness. No National Youth team, no NSW State League team or even two, no A-League team, no national Women's team. No National Futsal team in a Futsal League. Nothing. Until now. And now we have hope and you can hear the voices across the football community starting to rise. It's great. Football is on the rise. Read a few reactions to the news of an A-League Youth side in Canberra. Former Canberra Cosmos and Canberra FC midfielder Alex Castro, "Great, we need something, we've got nothing. I wish it was my time again to play A-League!" Bumped into Clive MacKillop A-League Referee Assessor just about to ref a game on Sunday in the hot sun at Australian National University, big smile, "We'll get more games for our Refs. Great!" Technical Director Ian Shaw, "It's fantastic, we want that opportunity for our Youth." Belconnen United Coach Steve Forshaw, "Wow, that is fantastic, maybe they could use our stadium." Geordie John my next door neighbour, "Great stuff, things are starting to happen. I can see the future now." Rob Janssens, Nearpost host, "Great news, I read it in the paper." Jason Thornton, Parent of 2 football loving boys, "You can see where this can lead to, it's great, just what we need." Emails are flowing in. The support is widespread. Canberra wants football. Offers are rumoured to have poured into Capital Football to offer practical support and encouragement. Canberrans may not know yet but we are joining, or hope to be, with Wellington Phoenix,to create an A-League Youth team in Canberra. The Phoenix fan group are called the Yellow Fever; they have great support and a fantastic website. I reckon the site is the best in the league. And reaction from across the Tasman has been incredibly supportive. And this blog has been invaded by hits from New Zealand. So here's a big Canberra welcome to the fans from the Nix and here's hoping we can get as many players into the Phoenix first team, as quickly as possible, and win the A-League! Imagine seeing another Canberran runnning around the A-League. Can't wait. KUALA LUMPUR 17.03.2008: The draw for the AFC Futsal Championship 2008 Finals will be held at 1400 hrs (local time) at the Radisson Hotel, Bangkok, Thailand, on April 11, 2008. Sixteen teams will take part in the main competition to be held in Bangkok from May 11-18, 2008. Twelve teams out of the sixteen booked their place in the finals, based on last year’s tournament results (seeded teams), while the top four teams from the qualifiers will complete the line-up (see media release on www.the-afc.com: AFC Futsal Championship 2008 Qualifiers draw held). Harry Kewell off to Celtic? No it's not wishful thinking on my part. Media reports in Britain are suggesting it's on in the summer. Personally I'd be surprised. Let's hope they do the right thing. There is only option for this fan. Speaking to many people around Canberra and the only response from football people has been outstandingly positive. Amazingly I have not heard a word of doubt or disinterest from a wide range of followers of football. Canberra MUST have an A-League Youth team. And tonight is our chance to grow the game in Canberra like never before. I'm nervous. Should I be? We'll have the full Capital Football response on the Nearpost radio on Tuesday. You can also hear Phoenix CEO Tony Pignata as well....and you can catch the podcast on here on Wednesday. When Nikolai Topor-Stanley makes his expected Socceroo debut at left back against Singapore next weekend he'll be knocking the ball down the line to Aussie superstar Harry Kewell. The boy from Tuggeranong United and Telopea Park School has done well. Perth Glory's Player of the Year, off to the Beijing Olympics and now ready to team up with Harry Kewell in the Socceroos. Well done Nikolai. Kaz Patafta on SBS: Where next Kaz? Canberra's Kaz Patafta is starting to make an impression in Melbourne where it matters; on the park. But his loan deal from Benfica ends with the Victory in June. He's had increasing minutes as Season 3 came to an end, and he's still involved in the Asia Champions League campaign. And Coach Ernie Merrick is protecting him, increasing his confidence, physical and tactical capabilities. Don't be surprised to see Kaz join another A-League Club, or even stay at Melbourne especially now a Youth team would mean he'd be playing every week at some level. Kaz said, "I've been branded too small but I've coped well, got physically stronger, added tactically, it's been a great experience." "In Europe families are willing to take their kids out of school at ten, let them live in a different city, just for the game. That's what we're up against. I don't see that happening here yet." That goal, a wonderful goal, against Wellington Phoenix. How many 19 years old have scored in the A-League? How many Canberrans? Anzac United: Phoenix to raise the Youth of Canberra in 2008? "We’d like to set up an A-League Youth team in Canberra, as soon as possible,” said Wellington Phoenix CEO Tony Pignata speaking from Melbourne today (Friday). The seven team A-League Youth League is set to start in August 2008, and Canberra it seems was set to miss out. But fancy footwork from Capital Football CEO Heather Reid and Wellington Phoenix CEO Tony Pignata may have changed the future. Capital Football’s innovative link with A-League club Central Coast Mariners, earlier in the year, may have lead the Wellington Phoenix to come calling. Capital Football Technical Director Ian Shaw talking on Nearpost radio earlier in the week talked of the opportunities of the new league, but also his frustration of seeing his city miss out. “We may have to bash the door down at the FFA to get a team in....I’d like to hear some voices in the Canberra community calling for a team,” said Shaw. Well maybe, just maybe, the Kiwis and Capital Football have bashed the door down. What will the team be named? Maybe Capital Phoenix, or Phoenix FC. Where will the team play? McKellar Stadium, Canberra FC Stadium? Both are possibilities. What if Canberra has it’s own A-League team in a few years? “If that happens we’d move on, but we want to get in as soon as possible, and we see Canberra as the best place for us,” said Pignata. And of course Canberra can produce quality players. Joe Simunic, Ned Zelic, Carl Valeri and our latest Socceroo Nikolai Topor-Stanley are just a few from the Canberra production line. AIS Head Coach Steve O’Connor thinks Canberra should have a team in both the youth and A-Leagues. “Dane Milovanovic, Ivan Pavlak, Sam Munro and Kofi Danning are all in the AIS team at the moment. All are from Canberra. The city has a reputation for producing good players. Joe Simunic is one of the best I’ve ever had through the AIS,” said O’Connor. How many more could Canberra produce if the region had a Youth team; and of course one day an A League team? The Phoenix is waiting for approval and support from both Football Federation Australia and Capital Football. There’s no doubt there is work to be done, but this provides an exciting and tangible pathway for the region’s youth, for spectators and a chance for the Canberra region to test themselves against the best in Australia. Canberra may not have an A-League side yet, but in terms of building grassroots support this could be the next best thing. When the Youth League was mentioned last week, Canberra once again missed out, or so it seemed. If a week is in long time in politics, well it’s even longer in the new world of Australian football. A Youth team in Canberra, started by Kiwis? I’d like to see that! Kaz Patafta, Shaun Ontong, Ben Williams, Steve O'Connor, AIS, Youth League lots of Canberra football news here. Kaz Patafta meets Les Murray Sunday 5pm. Canberra and Melbourne Victory's Kaz Patafta will be on SBS The World Game on Sunday around 5pm. Sir Les will interview Kaz. Kaz Patafta and Shaun Ontong. Mates in Asia. In the week when Nikolai Topor-Stanley is named in his first Socceroos squad, Kaz Patafta and Shaun Ontong were playing in Australia's most successful Asian Champions League night..ever. Kaz came on for Victory in their 2-0 win over Chunnam (Korean Cup winners) and Shaun was on the bench in Pohang City, Korea as Adelaide United won 2-0. The lads who used to do extra training together running up Black Mountain are reaping the rewards now. What did you do on Wednesday. Get stuck on The Tuggers Parkway, struggle to park in Civic, bunked school, late home from the office. How fast do you have to be to play International Football. Well Steve say's 3.25 seconds over 20 metres is to slow. Test yourself today!! Brett Emerton was around 2.7 secs at age 15. The Gympie flyer James Downey at Perth Glory is similarly quick. It's beeen along time since we've had four players in an AIS side from Canberra. Kofi Danning, Sam Munro, Dane Milovanovic and Ivan Pavlak are all playing in an AIS side that is joint top of the VPL after 3 games. And you can imagine they have had to take a bit of physical stuff over the last couple of years from other teams not used to losing to kids. Youth League..first ray of light for Canberra football? The FFA are interested in Canberra making up the 8th team in the Youth League next year. In conjunction with the Wellington Phoenix or as a stand alone team it's too early to say. Finances would be the only thing stopping us. Time to get our thinking hats on Canberrans. With the Youth League offering $5,000 a season the four Canberrans in the current AIS squad would probably prefer to stay in a Canberra Youth side then head off to one of the other seven Australian Youth teams. Canberra and Melbourne Victory's Kaz Patafta will be on SBS The World Game on Sunday around 5pm. Sir Les will interview Kaz. SINGAPORE, 13 March 2008: Thailand and UAE are through to Saturday's Lion City Cup Final after completing the group stages with their third straight wins. The Thais overcame Asean neighbours Vietnam 3-1 in a physical encounter at the Singapore Sports School that saw both teams reduced to 10 men in the end. The win saw the Thais topping Group B and they will face UAE who finished top of Group A after a narrow 2-1 win over Chinese Taipei at Jalan Besar Stadium. The other Group B tie saw Singapore A taking a first half lead through a Aslam Ismail header but three second half goals eventually propelled Uzbekistan to a 3-1 win. The final tie of the night saw a gallant Singapore B go down 1-0 to Australia who scored through winger Kamal Said Ibrahim on the hour mark. Vietnam and Uzbekistan will play each other on Friday morning at the Jalan Besar Stadium in a fixture that will determine which team finishes second in Group B for the right to take on Australia in Saturday's Plate Final. "My Dad used to teach me how to dive in the kitchen!" Matildas Star Caitlin Munoz joined us at the Nearpost this week. Caitlin discussed the Matildas plans for the year, her upcoming move to California, what it takes to be a Matilda and the role of her Dad, Andy Munoz, Weston Creek State League Coach. Caitlin, the Matildas beat New Zealand in three games recently, so what next for the Matildas? And you’re staying in America after the games? “Myself, Sarah Walsh and Collette McCallum, we’re heading off to play for Pali Blues in California in the W League. Hopefully the team we are playing for is a really good team and we can come away with the league. “Some players have agents, but I just got an email from the club. There’s no pay, but I won’t work over there. The club will put us up in a house, they look after us. “I played in Boston (USA) in 2004. I had the best time ever. It refreshed the mind. It’s repetitive staying here, same things three years in a row, so it was good to do something different. “Pali Blues will release us for the Asia Cup in May, which is in Thailand or Kuala Lumpur, and also the Peace Cup in Korea in June. After your time in America and Asia Cup etc what then? Your playing at the top of Australian sport has the path been easy? “No, it’s never easy. I’ve had a couple of major injuries, two knee reconstructions, but you have to keep pursuing your dream. I was training with the Matildas in 2003 but wasn’t making the touring teams. That was very hard to take, so nothing is easy. “I started with Belnorth Penguins, a mixed team, then played with boys until I made ACTAS at 14 then went to the AIS. “I guess it helps, as they (the boys) are fitter and stronger and that’s what you need if you want to go to the next level but some of the girls in the Matildas have played in women’s teams all their lives. “I guess so. Dad was into football and that’s where I got it. He used to teach me how to dive in the kitchen! He’s Spanish but I don’t think I’ve ever used the dives. He Coaches Women’s Weston Creek State League One. Thanks Caitlin and good luck in America.